Ghent Enclosed Message Center - 1 / Each - 36" x 48"
Enclosed Message Center offers a great way to keep up with publicizing frequent changes. Water-resistant design is perfect for outdoor placement under an awning or overhang. Board is ventilated to prevent moisture buildup inside. Natural-colored tackable vinyl posting surface is self-healing and withstands repeated tacking. Full-length piano-hinged doors have shatter-resistant acrylic inserts with flush mount locks. 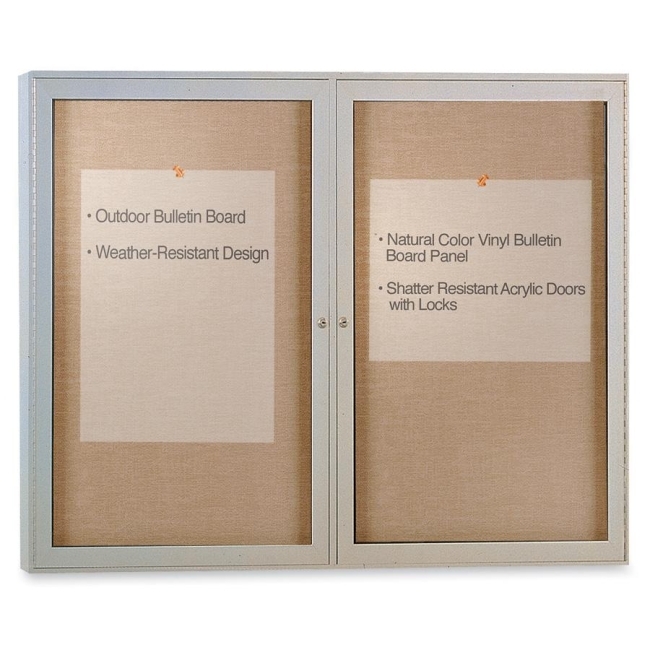 Bulletin board offers a 1-5/16" interior case depth and weather-resistant aluminum frame and backing.